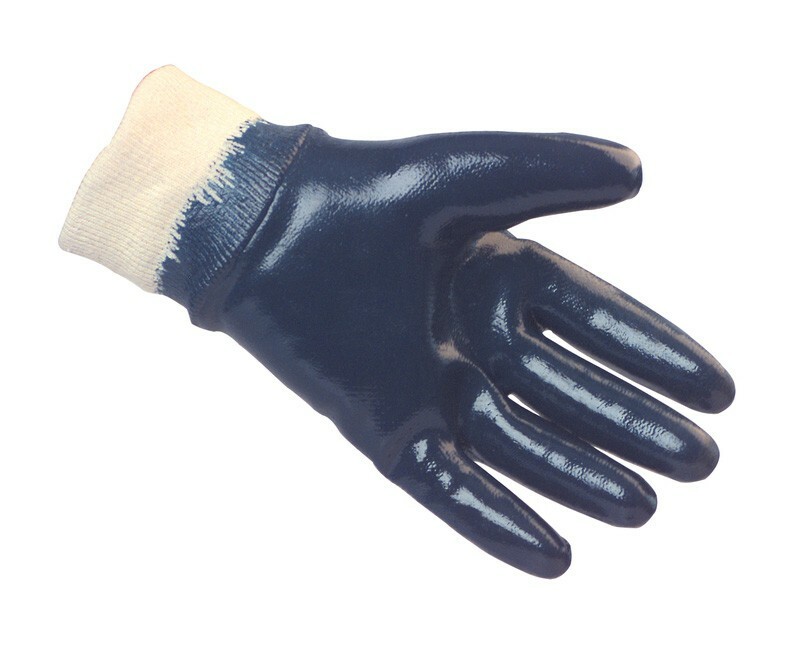 Nitrile coated knitwrist gloves are typically used for metal pressing and fabrication, rough castings and fettling, carrying building materials such as bricks, timber and concrete blocks, refuse collection, carrying cables and couplings, work with heavy guage sheet metal and railway maintenance. The gloves are ideal for handling rough materials, and offer excellent resistance to abrasion, cuts and snags, punctures, grease and oil. The soft jersey liner provides exceptional comfort for the wearer, the gloves are also anatomically shaped enabling extended wear whilst reducing hand fatigue. 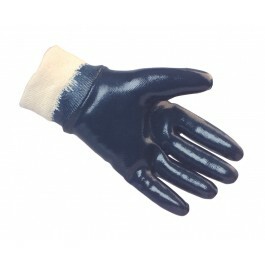 Whilst the glove is a tough general purpose handling glove it is neither liquid or chemical resistant. Conforms to European Standard EN388. Contains a fungicidal and bacteriostatic agent to prevent any unwelcome growth. Offer more dexterity than standard PVC knitwrist gloves. Provides excellent resistance to common solvents, oils, grease and other dilute chemicals. Full pack size - 12 pairs of gloves. Full case size - 48 pairs of gloves.